Pickles Pubs’ first pub, acquired in 2006. A very traditional coaching inn, with many original features packed full of History – Huge exposed beams which date back to the Spanish Armada ship called the “Olde White Bear”. 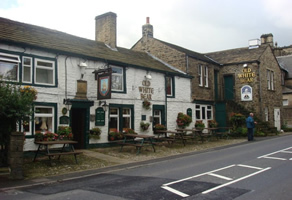 Located in the picturesque village of Cross Hills, which lies between Skipton and Keighley.